Learn how to handle fees from merchant services providers whom you use to process credit and debit card transactions. Here’s a common scenario: Your customers pays for invoices using credit cards. These credit card transactions are processed via a merchant service provider (like Chase Paymentech), who holds these payments and then at the end of each day deposits the funds into your bank account. At the end of the month, they take the fee for their services directly from your business bank account. Your merchant account is a bank account where your funds are temporarily placed before being transferred to your regular business bank account. So, you’ll need to set up a Merchant Bank Account in Kashoo. The fees that your merchant account provider charge you need to be accounted for. You can create a new expense account titled Merchant Fees to expense them. 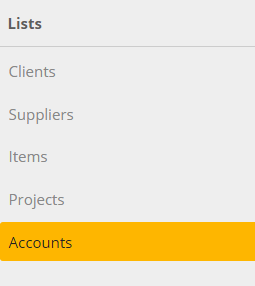 To set up the accounts, go to the Accounts page and find the Add New Account section at the top. Today we received a $500 credit card payment from Beauty Magazine for a photo shoot, so we’ll enter that as income using the Income page. The income is entered like any other transaction, with the exception that for the Terms or Payment Account the Merchant Bank Account is chosen. At the end of the day, Chase Paymentech transfers the payments to our business bank account. Today, we only received the single $500 payment, so we’ll go to the Journal Entries page and select Enter Transfer to make the transfer from our Merchant Bank Account to our business Bank Account for the entire amount. At the end of the month, Chase Paymentech charges us a fee of $203.20 for all our transactions. We pay that fee like any other expense, using the Bank Account as the Paid From and the Merchant Fee account as the Expense account. Note: For the Paid From, you choose your business Bank Account. However, if the merchant services provider deducted funds directly from your Merchant Bank Account, then choose that account instead.